I have decided to write a series of post on habits that can help designers improve their craft. I write these tips more as therapy for myself and a way of documenting the lessons that I learn each and every day about what it takes for me to become better at one of my principle loves and passions. If you have ever read Stephen Covey’s Habits of Highly Effective People, then you know that this resembles his second habit: Begin with the End in Mind. Essentially, Covey argues that in order to lead a rewarding life and be “effective” on a regular basis, you have to know where you are going. What’s your ultimate goal? Covey asks, if you are going to climb the ladder—to borrow a metaphor from the corporate world—what ladder are you going to climb? Too often, he says, people climb the wrong ladder in life and thus find themselves unfulfilled and unhappy. If you feel that way on a daily basis, it’s hard to be good at what you do with your life in terms of business, family and other pursuits. As a remedy, he encourages the reader to visualize the end of his or her life and imagine what it is that one really wants to do with the short time we have been given. Essentially, what do you want your friends and loved ones to say about you when you have passed on? This technique he claims helps us find true north and reorient our life toward our authentic interests, goals and passions. But let’s get back to less heady stuff and talk about design. If I were to extrapolate this habit onto the design profession, I would say something like “begin with a concept in mind.” Maybe this is obvious for many designers but I find myself having to remind myself time and time again to get back to the main concept. It is so easy for me to get lost designing multiple ideas and iterations of ideas that I lose a lot of time in the process. There are times when all I see are trees and no forest. Many times, my creative process resembles Jonas Buntenbruch’s satirical depiction of an ad agency creative process diagram. Jonas Buntenbruch's take on an agency creative process diagram. What style does the client want? Why did they hire me to begin with? What style, which typefaces, images, color palette best communicate the message that needs to be sent? What were my initial ideas? The last question is an interesting one. I remember my high school biology teacher once claiming our first instinct is usually the right one and that we should learn to go with it. I have found this true in my work as a designer. Often times, I find myself going back to my very first ideas after spending inordinate amounts of time brainstorming for bigger, better ideas. And even though, “suspending judgement” is a key to creativity and brainstorming, I keep finding this to be true in my work. My initial ideas tend to be the right direction for a project. 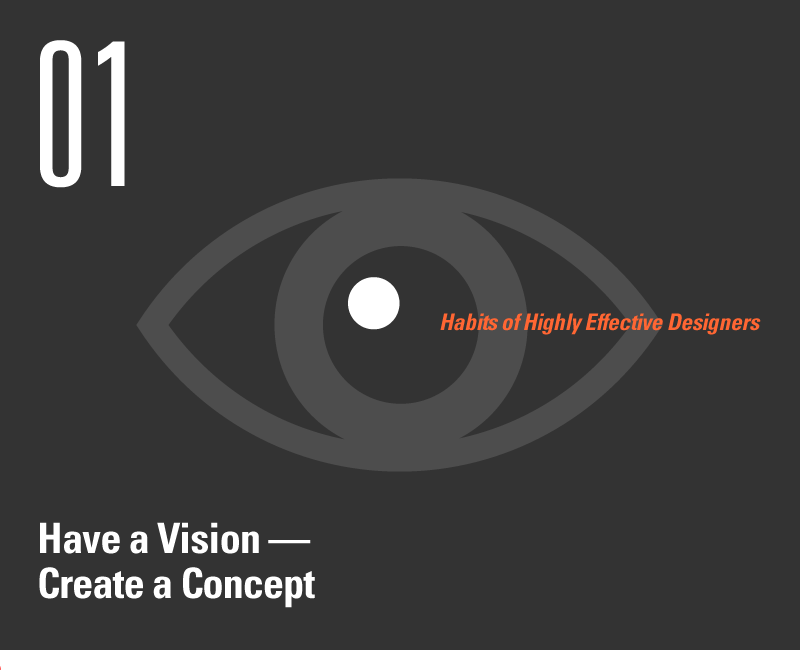 So, before getting lost in the mire of creativity and the pursuit of perfection, try to stay focused on the goals for the project set out in the client brief and your own initial instincts about how to achieve those goals visually. This is a great inspiring article. I am pretty much pleased with your good work.You put really very helpful information.